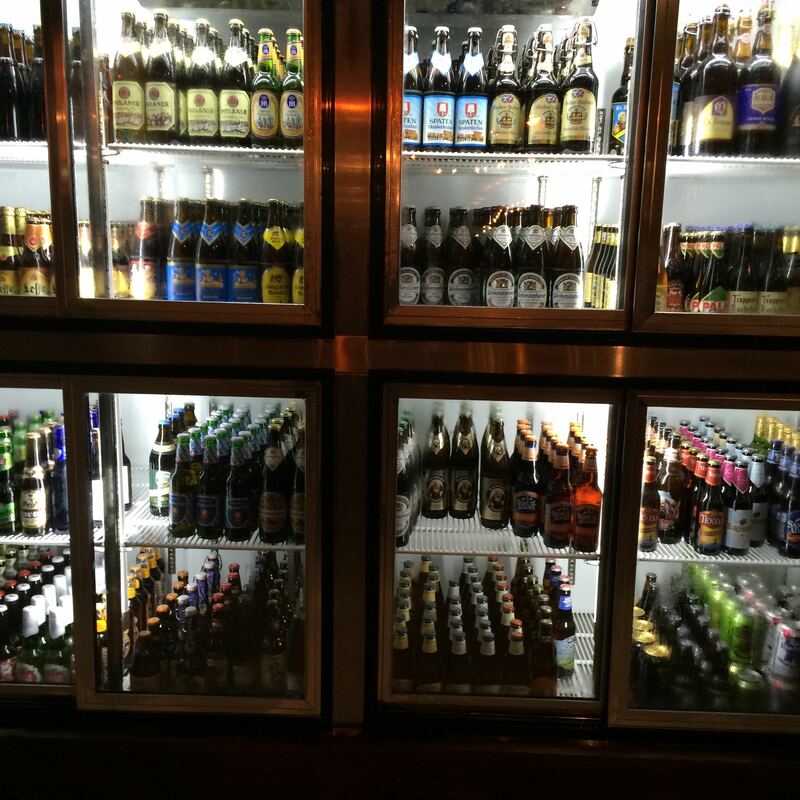 Madam Janette’s calls itself a craft beer bar, and it should, with over 80 different types of beer and great tapas. Founded in 1999, 15 years later they are still going strong with a casual setting with sophisticated food which is hard to find anywhere else. 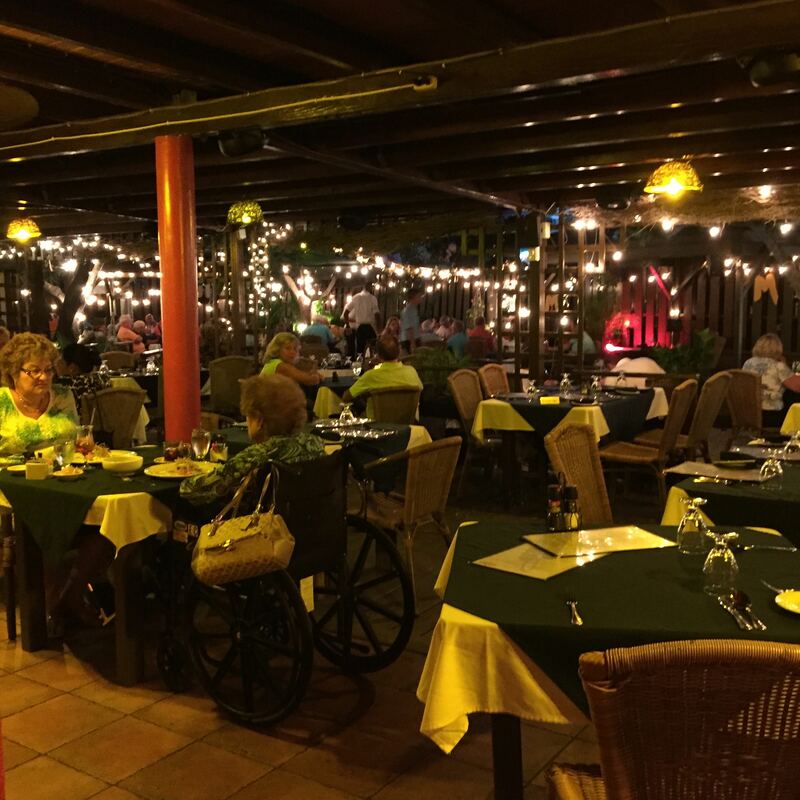 They offer indoor and outdoor dining. However, on this visit, indoors was a bit too hot, we were literally sweating at the table and didn’t make for the most comfortable experience. The outdoor area would have been a better bet. Indoors there is a live singer. Too bad I don’t love 1980s music, in fact I loathe 90% of it. I don’t know what the obsession is with this type of music, but I would have been much more comfortable sitting at the bar listening to German Octoberfest music. I truly believe that the dining experience includes comfortable surroundings and music should reflect its style. 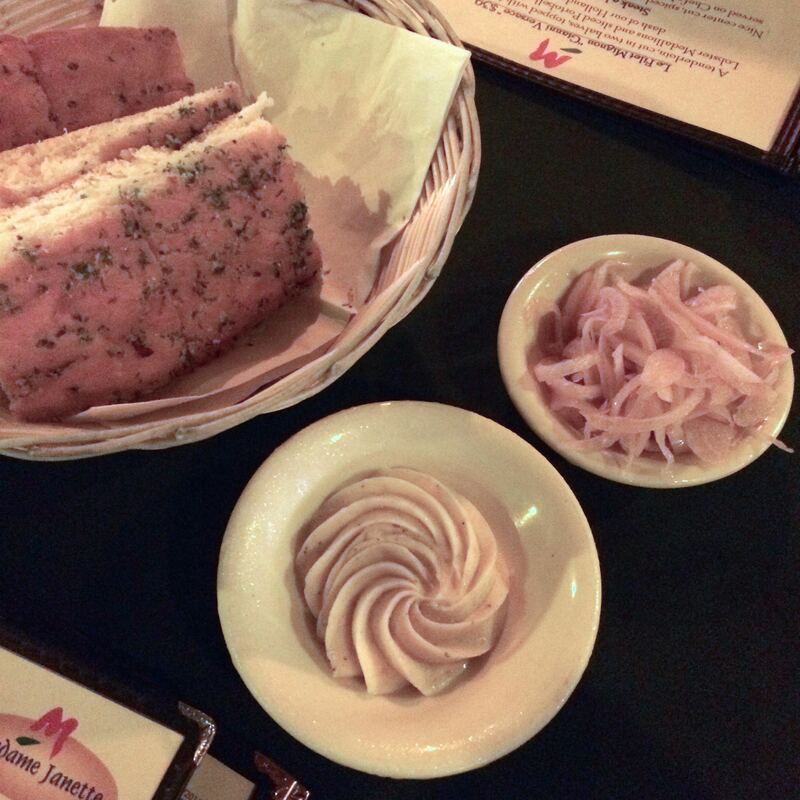 Fresh herb bread comes to the table along with garlic butter and pickled onions. Its too delicious, I can’t stop eating though I know I have to leave room for the rest of the meal starting with the special appetizer, “Kasi’s Chorizos” which were served with fresh lime wedges and MJ’s special sauce. Not too spicy, but a nice start. The main ingredient of the sauce was curry, now you see how East meets West. Madame Janette is known best for its schnitzel, so naturally I have to order that. The hard part was which sides to order. I got the potatoes roasted with caramelized onions and bacon and my girlfriend got the potatoes au gratin. Both delicious, though it was hard to taste the bacon in mine. The schnitzel came with a mushroom sauce and topped with fried onions, and as you can see was too big even for the plate. This could have easily served 2 people. I managed to finish a little more than half of it. Madame Janette is a great place if you are looking for a tavern experience. You can sit at the bar and order food and craft beer and have a great time. While the dining is good, it can get expensive, which is why if you are coming to drink, spend your time at the bar with small eats on the side.